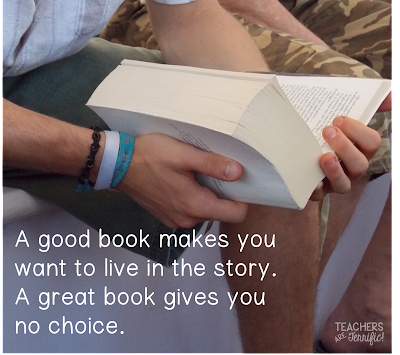 A good book puts you smack in the middle of the story, makes you part of it, makes you cry, and makes you laugh. If you love reading you will understand this statement. This month's reviews have some great books I fell right into- some not so much. Throughout the post, for your convenience, you’ll find Amazon Affiliate links, which means Amazon compensates me if you purchase something through that link, at no extra cost to you. This helps keep this little blog running! This is about Vianne and her sister Isabelle. It is 1939 - the brink of Nazi invasions into neighboring countries, including France where the young women live. Vianne's husband goes off to the war leaving her with her best friend, Rachel. Soon Isabelle joins them and then a German officer requisitions to be housed in their home. Their town is invaded and Isabelle sets out to be part of an underground network of helping the French cause. She is quite obstinate and sets forth on an impossible mission of secrecy. Later, there are some deaths that I won't disclose, but they are very sad. Vianne hides a young boy from the Nazis and then much later.... well you get it. It's a fairly typical war story with some truth in it and historical facts and maybe a little that is a tad stretched and sounds too modern. I found Vianne to be a character that alternated between being very strong and opinionated and in the next moment being a silly girl. Isabelle was impossible to like because she was so foolhardy and I wonder how true this would be in 1939. There were a few other events that just left me thinking that no way could these things have happened. Maybe in today's world, but not in World War II. Would I recommend it? Yes, I think so. You may love it. It is well written as far the language, although I did get tired of the overused metaphors. Given that the book is enormously popular and so highly rated by others I would say you should try it! I'd say 3 out of 5 stars. This is the story of Isabel and her husband, Chris, and daughter, Hannah. Isabel is a teacher and has a best friend, Josie, that has died. The story of exactly what happened to Josie is a mystery and the book is mostly about how Isabel is dealing with incredible grief for Josie and the changes in her relationship with her own husband. Little by little the story comes out. Along the way, you meet Cal, a new man that Isabel may or may not be involved with, Mark who is Josie's husband and his new relationship, and much more. Good things: I did read this book- no skimming, so there's that. I was interested in Isabel as a person and wanted to hear her story. So-so things: This book is a not a happy story. It has moments of sadness and comments that make you really think about how tragedies affect us and change us. So, it might not be one you want to tackle if this kind of melancholy bothers you. "You lose some people that way-fast and blinding. But some people inch away from you slowly, in barely discernible steps. In the end it almost doesn't matter. They're just as gone." Would I recommend it? .......it's sad. And I didn't put it on my bookshelf when I finished it. I put it in my "Donate to the Library" bag. I'd say 3 out of 5 stars for this one. Oh, Stephen King, how I love you! From my first SK book, Firestarter and my favorite, 11/22/63: A Novel, I always know what a ride it will be. This book is the end of the Bill Hodges trilogy. The first book told the story of a disaster orchestrated by Brady Hartsfield, who drove an old Mercedes through a crowd of people, killing a bunch of them and causing horrible injuries to others. The second book continued the story as more things took place with the Brady character. Finally, this third book picks up with Brady still in a vegetative state in a nursing home and Bill Hodges still obsessed with getting justice taken care of in this spectacular case. So, is Brady still comatose or not? How will Hodges piece together details of two more weird suicides and connect them back to a man that cannot even move? And the biggest question of all- How is this a Stephen King novel? It all seems too normal. Never fear, because King delivers with a wild story of hand-held video games that can hypnotize and maybe get Brady's mind out of his broken body enough to continue to orchestrate some wild events. The book ended up being a typical King piece and concluded with an ending suitable for this three book trilogy. I loved reading this series and if you like the macabre of Mr. King, you will, too! I'd give this one 4 out of 5 stars- only because it did grow a little tiresome towards the last 150 pages. So, this is one that was reviewed well and is supposed to be laugh-out-loud funny. It's the story of the author and his 90+ year old mother who is in the early stages of dementia and quite a character anyway. The author meanders from present day trials with his mom to his early life and back to present day. I wanted to finish this book, but after 100 pages I just couldn't make myself read it anymore. Sadly, I cannot recommend this book and, by the way, after 100 pages I also never found anything funny in the story. Sad and depressing, maybe, but never amusing. I would give this one 1 out of 5 stars. So, Eleanor & Park is marketed as a young adult book, but let me begin by telling you that the only young adult thing about this book are the main characters. The language and sexual comments are not for youngsters that I would consider young adult. Amazon lists it as a teen book, but since that includes 13-15 I would say nope. Too much use of bad language and references to sexual things. The main character Eleanor is a neglected, impoverished young teen that was removed from her home by her mother because mom's boyfriend didn't like something she did. Her mom sent her to live in a foster home for a year. Now, she has returned and begins school dressed in clothing held together by safety pins, she's unclean, and a little strange. Park is a half-Korean young man that allows her to sit beside him on the bus. After some time they become friends and then boyfriend- girlfriend. The neglect and abuse of Eleanor and her siblings is a big part of the story and a part she doesn't seem to ever want to share with Park. Park is a teenager with his own problems due to being a little different himself. It seems fair to say that they could end up together- in their own isolated ways, but there is some of the story is improbable. A lot of the book is just sad. I actually listened to this book in audio form and didn't like the readers at all. The female reader made Eleanor sound a little stupid at times and I don't think she was. Their story began to sound a little like Romeo and Juliet at times and it also grew tiresome and repetitive. Should you read it? I would give it 2 out of 5 stars. If you are about 17-19 years old you would probably love this book and totally understand it. Me, not so much! Remember what I said in the beginning- a good book makes you part of the story. I had a hard time with the books in this review. I didn't believe in the characters or the stories. You might connect with these better than I did, so do check on this list. And just so you can actually try an E-reader, did you know that Amazon offers a Kindle Unlimited membership with a 30 free trial. And, don't fret- you do not have to own a Kindle to try this. Books can read by simply using the Kindle app or your laptop! I tried this recently with a first-grade classroom and used the computer to project a picture book on the smart board. The kids loved it! Click on the image below to check this out! Hi Carlee! I am so glad you found a book to try here on my blog! Enjoy and thanks for stopping by!